PHILADELPHIA: Comcast Fires Proud Boys Member - Joe.My.God. 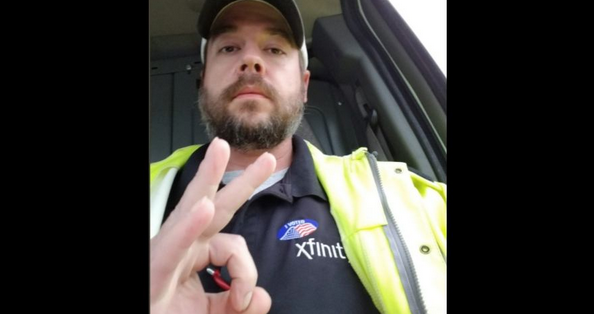 Comcast on Wednesday fired Andrew Kovalic, a 10-year employee who earlier this week became the target of a viral petition alleging that he is a member of a hate group. The petition that called for Kovalic’s termination, which had garnered 373 signatures by Wednesday morning, was created and sponsored by the Philadelphia-based nonprofit Media Mobilizing Project, which often scrutinizes media and telecommunications companies like Comcast. In a statement to Philadelphia Magazine, Comcast said, “There’s no place for disrespectful, offensive behavior in our culture. The individual is no longer employed by Comcast.” When asked how Comcast made its determination to fire Kovalic and what specific behavior led to the company’s decision, a spokesperson said they could not comment on the situation beyond the statement. THREAD: The Proud Boys and other alt-light groups are rallying in Philadelphia on 11/17. This is Andrew Kovalic, Harrisburg PA Proud Boys Rally Captain. He’s doing Security that day.